The first thing Oma thought when she saw the Ohuhu Sleeping Bag with a Carrying Bag is that I would never get it back into the bag! I was so wrong. Even with my long fingernails, putting the lightweight sleeping bag back in the carrying bag was easy as could be. It is the perfect size for storage or to keep in the back of your car. The sleeping bag is well made and perfect for warm California nights. I love the color combination of the Nylon bag. Tip: You can get a double sleeping bag if you also purchase the one has its zip at the right sight. 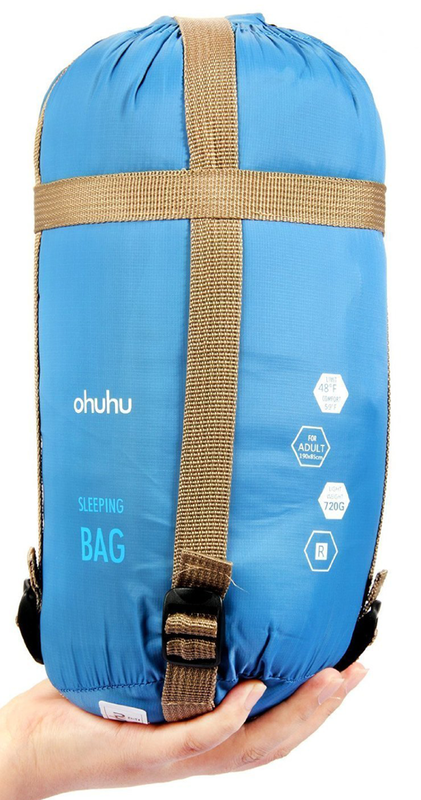 Stay warm on those cool nights camping under the stars with this Ohuhu® 75"x 34" Sleeping Bag! Get ready for your adventure, and order your Ohuhu® Single Sleeping Bag today! 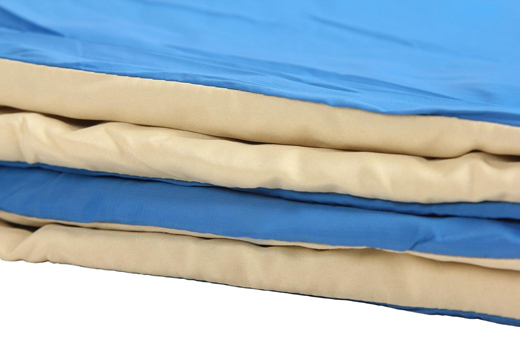 Waterproof and comfortable - Nylon outer & 100% polyester inner filling. Light Weight (780g/1.72lbs) & Foldable Design (Folded Size: 4.7" x 11.4") makes your camping experience more easy and convenient. Temperature limitation: 48F, Comfortable Temperature: 59F. Zip at the left side - You can get a double sleeping bag if you also purchase the one has its zip at the right sight.